On November 6, 2015 Judge Ron Ware found James Oliver McKeehan, Jr. guilty of Second Degree Battery following a Bench Trial. The conviction stems from a March 21, 2015 incident in Lake Charles. 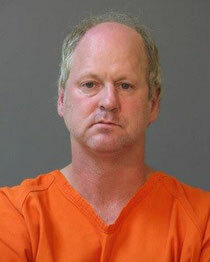 McKeehan was convicted of beating a 49-year-old female at a home on Barbe Court. The victim suffered severe injuries to her face and had to be transported to Shreveport for surgery. The Calcasieu Parish District Attorney’s Office plans to file a Habitual Offender Bill since McKeehan has prior felony convictions. McKeehan could face life in prison. Judge Ware set sentencing for March 21, 2016 at 10:00 a.m. following a pre-sentence investigation. Detective Jeff Atkinson served at the lead detective on the case for the Lake Charles Police Department. Assistant District Attorney Jacob Johnson handled the case for the Domestic Violence section of the Calcasieu Parish District Attorney’s Office. Assistant District Attorney Christy May and Assistant District Attorney Lori Nunn also helped with the prosecution.